There has been a misconception of the army being strictly just combat but in reality, the army is more than that. Now, the army is full of working professionals with skills that don't require a gun. So we decided to change the traditional green army men into professions that are more suited to the army now. 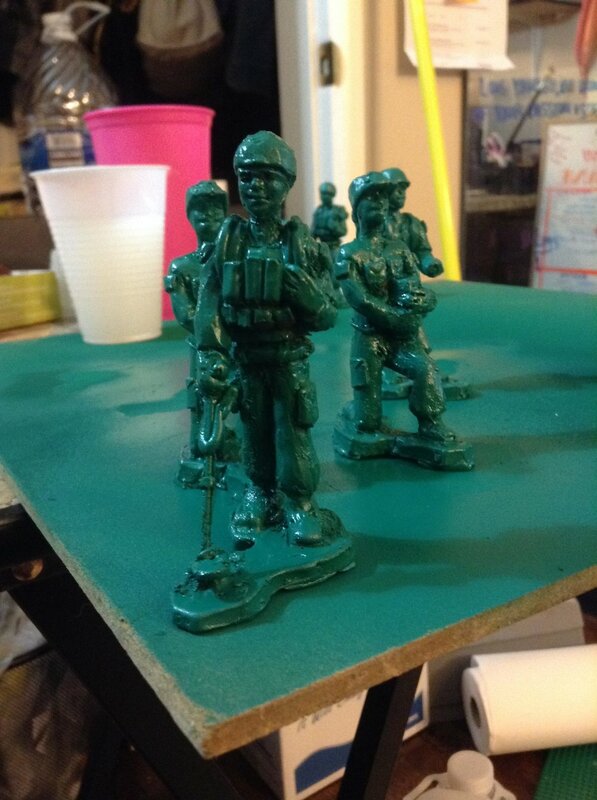 The army men are individually handmade. 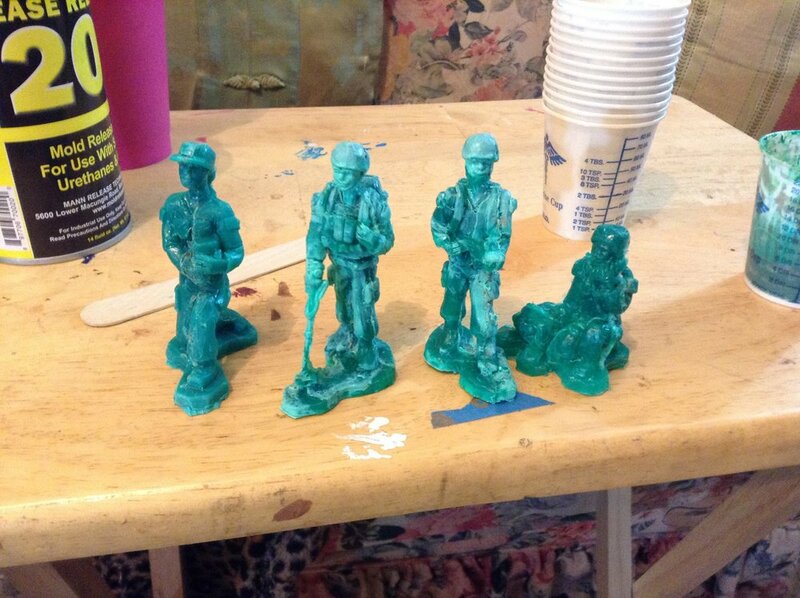 They are first sculpted, molded, casted in resin and then spray painted over.